The boutique winery revolution began quietly enough in 1988 with the formation of Meron Winery. It took a more substantial step when Margalit Winery came on the scene in 1989. 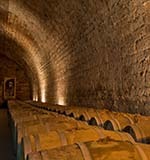 These are often referred to as the first boutique wineries. However what was new was the term boutique. There have been small domestic wineries in Jewish communities forever and in the mid 19th century, before Carmel, there were many, particularly in Jerusalem. The reason only two are remembered, (Shor & Teperberg), is because they were the only ones to survive. However undoubtedly in the 1990’s a boutique winery boom began led either by growers, who decided to reserve some of their fruit for their own use or hobby winemakers, who decided to take it all a little more seriously. This boom shows no sign of abating even now. In the early 2000’s, the artisan drinks movement spread to breweries. In the face of two enormous powerhouses in Israel, Tempo (Goldstar & Heineken) and IBBL (Carlsberg), a number of home brewers took the step to become commercial but on a tiny scale. The first was David Cohen with the great named Dancing Camel Brewery, founded in 2005. Since then there has been a rush of new micro-breweries which have contrived to make the beer scene more lively and interesting. In the more recent past, there has been a move to artisanal distilleries producing spirits. Yuval Hargil, known to everyone as Joov, started experimenting with distillation in the early 2000’s. He is well respected in the food and wine scene as someone with deep insights and for a while he was the food critic of Time Out. In 2008 he established the Jullius Craft Distillery in the Western Galilee, in honor of Dan Jullius Yoeli, the person who first instilled the passion in him. He prides himself in using local Galilee ingredients. 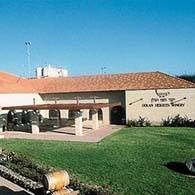 The Pelter Distillery is another boutique venture created in 2013 alongside the successful Pelter Winery, in the Golan Heights. It is a joint venture between the Pelter brothers, Nir and Tal, and the drinks experts, Yossi Buznah and Tal Hotiner. They purchased a cognac still and have produced a range of ‘hand made,’ (in their words), products using ingredients such as Pink Lady apples, wine grapes and Majhoul dates. Both Joov and Tal Pelter are imbued with the tinkering curiosity essential for the craft, an urge to play and the passion to explore. They are passionate about ingredients and dogmatic about the quality of alcohol. As a result the Israeli consumer is getting a range of spirits that take Israel far from the commercial cheap and uninspiring spirits once produced by the larger wineries. The Marc d’Galilee and Pelter Pink Lady Gin are fine examples of their distilling stills. Then came David Zibel, who is determined to make Israeli whisky. He is a former real estate agent, born in France and raised in Canada. He has set his sights on producing whisky and founded the Golan Heights Whisky Distillery in 2014. You would be given for thinking there are only five countries producing whisky. These are America, Canada, Ireland, Scotland and Japan. They dominate the sales and publicity of this most celebrated of spirits. In fact there are a surprising number of countries that try to emulate the big five. Apart from Japan, the most successful place to break into the brotherhood is Taiwan. Their Kavalan Whisky has won some incredible awards based on blind tastings, which gives hope to Israel, because Taiwan is also hot and humid and an unlikely place to fly high in the whisky stakes. However the big Daddy of the new distillers is the Milk & Honey Whisky Distillery which is situated on the border between south Tel Aviv and Jaffa. This has been developed on a more commercial basis than the others. Their target is to produce 700 barrels a year. They have launched the first ever authentic Israeli whisky. The barrel was distilled in January 2014 at a kibbutz in the Sharon Plain by head distiller, Tomer Goren, using the expertise of the whisky guru Dr. Jim Swan. Swan was considered one of the main experts in whisky from hot countries. He was also involved in the award winning Kavalan from Taiwan. The heat of Israel has two basic effects. Firstly the loss to evaporation, known enchantingly as angels share, can be as much as 8-10%. In Scotland the loss is 2-4%. Lucky angels. It is obviously better to be an angel in Israel than elsewhere! Secondly, the maturation process is speeded up and a whisky may gain attributes of age and complexity faster than in a cooler climate. The M&H Whisky has been aged for two and a half years in a new American oak cask and then for seven months in a used Bourbon cask. I was fortunate enough to taste it. It has a great whisky nose but the taste is less advanced than you would expect. However it is a fine aperitif whisky and no doubt, a very historical bottle for collectors and whisky mavens because of its rarity and uniqueness. There are only 391 bottles produced and the bottles will retail for 449 shekels. The base product of the next whisky currently aging in cask shows more promise. This is not a company going backwards in any way. Since then, Pelter have also released their own Israeli whisky, though I have not yet had the opportunity to compare it with the M&H expression. They produced 1,000 bottles and the whisky was aged for 36 months in Bourbon and ex wine casks. Jews worldwide have a passion for whisky that is difficult to explain. Visit Kiddush Clubs in America and a kiddush here and the hosts will probably take more trouble choosing the right whisky than the correct wine. Milk and Honey provides something totally original: a kosher malt whisky produced in the Land of Israel. Most whisky is not kosher, but religious Jews have no problem with this and the only times it becomes an issue, is it if it is aged in sherry casks. It has been called safe treif. A few years ago I engineered the production of two Bruichladdich Whiskies (1989 and 1994) aged in wine barrels used by Carmel Winery. The results were outstanding, but despite the Israeli connection, it was not kosher. However, Israel’s first whisky is certified by the Tel Aviv Rabbinate. The distillery is committed to offering a kosher product. It does not work on the Sabbath, Yom Kippur and Passover. It is very strict about the kosher certification of the products and ingredients. Israeli spirits were never top rate, though it was not so long ago that most large wineries also produced alcoholic spirits and liqueurs. Gold vodka dominated the domestic market until being squeezed by the global brands as imports grew and prices came down. I remember when Carmel’s bottling plant worked around the clock when bottling Vodka Stopka to supply the Russian market. Vodka is by far the largest selling spirit in Israel, but the international brands dominate. Arak is the indigenous spirit of the country. Elite and Alouf still dominate being available in every kiosk, but attempts to produce premium araks at higher prices, like El Namroud and Kawar have struggled, though the products themselves are good. Brandy is one product that Israel produced well. As a wine producing country, this is not a surprise as brandy is distilled wine. Carmel & Tishbi won major awards for brandy, and Stock 84 and 777 dominated the volume market. Once, millions of bottles of brandy were sold in Israel. Today the combination of high taxes and fashion (whisky became the preferred drink) has reduced the brandy market to a whimper. There used to be many liqueurs produced here. The most famous was Sabra, which was for many years produced by Carmel on behalf of Seagram, but the demand declined. The liqueur market worldwide is declining and only the established brands with massive budgets have a chance. So it is now refreshing to taste the new authentic Israeli sprits from this new wave of local distillers. Each of the distillers mentioned has a range of gins, white whiskies to help bide the time until the whisky is ready, which requires three years in cask. The M&H New Make Single Malt is good for cocktails, and they have produced a little booklet to help with ideas, and their Levantine Gin is slightly herbaceous, fruity with a citrusy overlay. There are also new places for the whisky fanatic and interested tourist to visit. You don’t have to visit the Highlands of Scotland. Tel Aviv will suffice. 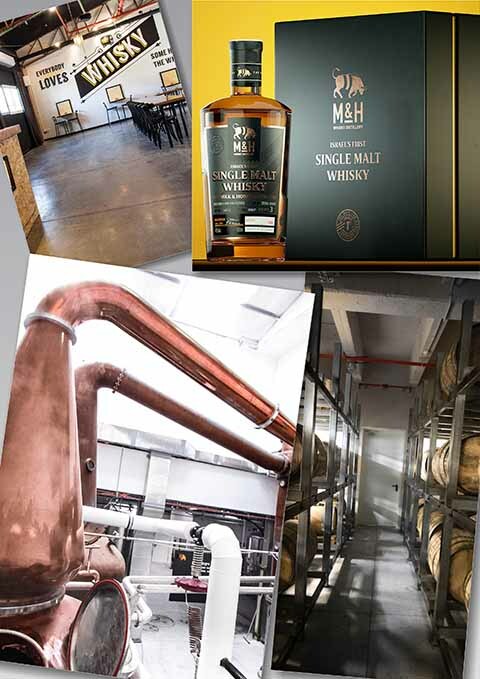 The Milk and Honey Distillery have a visitors’ center and then there is the Whisky Bar & Museum situated in an historical Templar cellar at Sarona. My experience at the distillery was first class and I thoroughly recommend it (but be sure to book in advance), but I was not so fortunate in a very brief visit to the Bar & Museum, but the place is impressive none the less. Anyway, Israel whisky is here! Let’s raise a glass and say Slainte (Le’haim) to the new artisan distillery scene and especially to Israel’s first authentic whisky. It certainly wets the appetite for the next batches currently aging in cask.